While overall scores on the recent Smarter Balanced tests for LA Unified were disappointing, there are quite a few schools proving they can beat the odds of poverty and language barriers. Despite an above-average number of students that qualify for free and reduced price meals and an above average number of English learners, the schools scored above the district average in both math and English language arts tests. LA Unified has 77 percent of its students who quality for free or reduced price lunch, and 26 percent who are English learners. These 16 schools — all of them elementary (see list below) — are not magnets or affiliated charters, nor do they participate in the School for Advanced Studies program, which embeds gifted students within a school, contributing to the school’s overall performance. Those schools represent an additional 23 schools that scored above average on both tests despite above average English learners and low-income students. For the 16 traditional schools highlighted here, there is nothing specialized about them. 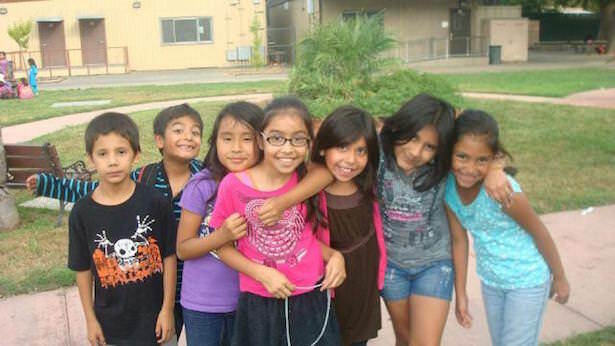 They are simply neighborhood schools that appear to have solved some of the challenges in educating English learners and students from low-income families. At least one is located in each of the seven school board districts and in each of the six instructional districts. The schools stand as models for a district in which roughly three-fourths of students tested cannot meet basic state standards in math and two-thirds cannot meet the standards in English. But then there is a place like Reseda Elementary, where over 90 percent of the students qualify for free and reduced price lunch and half are English learners. More than a third of its students met or exceeded the standards in English (38 percent) and math (36 percent), beating the district averages. Kubena said getting her staff on board and in support of the new Common Core standards may have been key to her students’ success. The Smarter Balanced tests represented the state’s first use of them for learning based on the Common Core standards, which prioritize critical thinking and problem solving over memorization. The Smarter Balanced test was also the first time a test was administered online statewide. Some schools had trouble getting their students enough time to practice using iPads and other laptops and tablets many were taken on. “It is important to note that many of our students were at a disadvantage in taking these tests because devices were not delivered in sufficient time to become adept in their use,” Cortines said in a letter to the school board. But that wasn’t a problem at Reseda, where Kubena said students had plenty of time to practice. As part of its computer lab, the school for several years had 30 iPads that were not connected to the infamous and cancelled Common Core Technology Program. The school was given 60 additional iPads to administer the tests. But Common Core acceptance and computer issues aside, there may be an X-factor involved in the success of the schools, something that can’t be easily quantified but comes down to inspirational leadership, inspired teaching and involving parents in the process. “If you let the children participate in their own learning: Don’t give them the answers. Let them figure it out. Guide them, facilitate their learning as opposed to just lecturing them. Have them explain their answers, and no matter what you do, just have a lot of oral language with your children,” Kubena said when asked what advice she would offer other schools. These are the 16 elementary schools that have above-average district levels of low-income students and English leaners, but also scored above average for both Math and English on the Smarter Balanced tests. Click on the school name to see the test results.